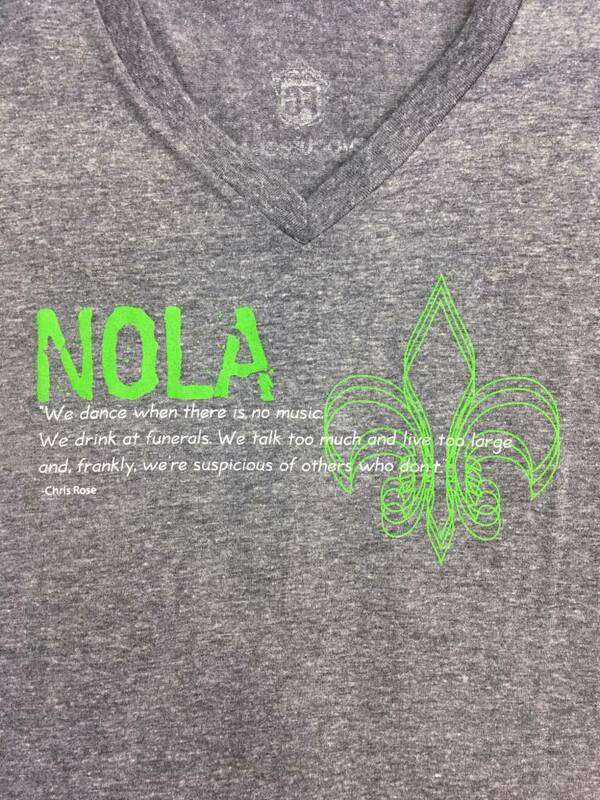 This shirt is a quote from Chris Rose from the Times Picayune and we feel it sums up what it means to be a New Orleanian. The quote is: "We dance when there is no music. We drink at funerals. We talk too much, and live too large and, frankly, we're suspicious of those who don't." 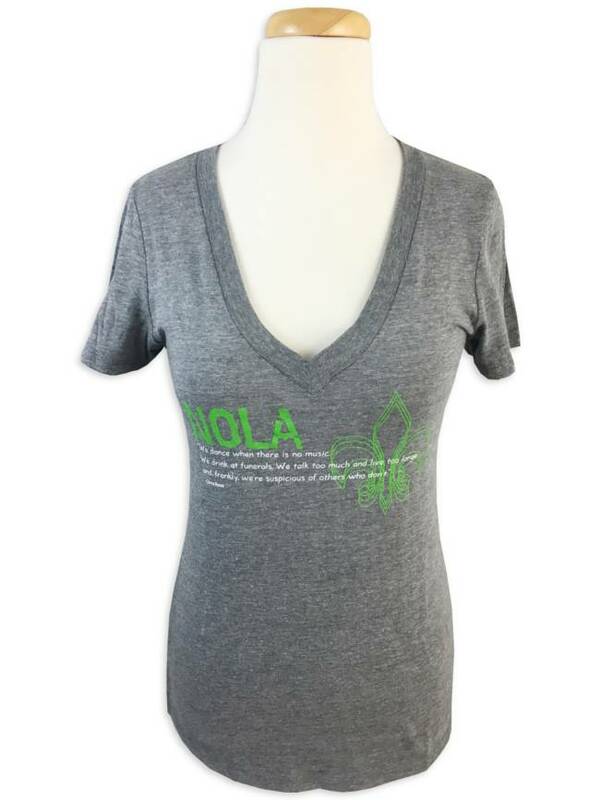 This shirt was specially made for Evacuteer.org, a program designed to assist the city of New Orleans during evacuations. 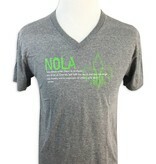 Chris Rose gave us permission to use his quote for a shirt for Evacuteer.org. 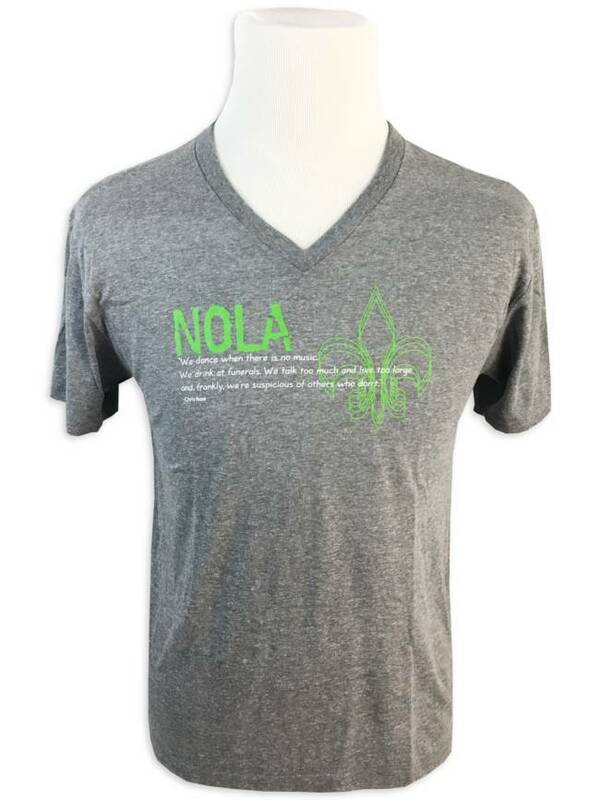 Fleurty Girl will donate $2 from every sale of this particular shirt to Evacuteer.org to help grow their network of evacuation volunteers. 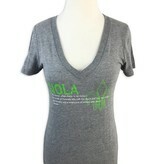 Learn more at www.evacuteer.org. 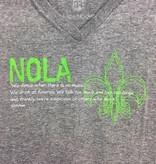 Printed on 50% polyester/25% cotton/25% rayon v-necks. A Fleurty Girl original.